Naobay Moisturising Peeling, 100ml worth £13.71. Essence Lash Princess Volume Mascara, full size worth £3.30. Dove Advanced Hair Youthful Vitality Shampoo & Conditioner, 50ml each worth £1.20 each. ncLA Nail Lacquer in I Only Fly Private, full size worth £10.83. Sleek Makeup Pout Paint in Port, full size worth £4.99. Next is the Essence Mascara. I’ve heard of Essence before and understand it’s a budget brand that’s available in Wilko. I’m not based near a store so haven’t had a chance to try out their products before. I have to say the Lash Princess Mascara does look kinda cheap – well it is only £3.30! And the makeup snob in me is telling me it’s not going to be much cop, but I’ve been wearing the mascara for a few hours now and it’s actually not that bad. It’s not as lengthening on my short lashes as I’d like but it’s ok if you’re looking for volume rather than length. Moving on we have the Dove Advanced Hair Youthful Vitality Shampoo and Conditioner. I haven’t used Dove hair products for years, so I’m welcoming the re-introduction to the brand. These products are specifically aimed at ageing hair (I’m coming up 31, does that count??) They’re supposed to repair brittle hair and replenish lost nutrients to leave hair looking ‘twice as thick’ These are bold words, Dove! I have super fine hair so I’ll be trying these out in the coming weeks – this is another one I’ll have to report back on! The ncLA Nail Lacquer is up next, and I personally do not find this product visual appealing. The bottle looks very cheap – but it’s in fact $16! I do like the colour of the polish, as you know I’m all about the brights! ncLA is a US based company that sells nail products only, so you’d think that as this is their specialism then the products should be pretty decent, and it actually is. You just need two coats for full opaque coverage, I can’t comment on the longevity yet but so far so good! Previous Post Spring Wedding Dress Guide + £100 Giveaway! 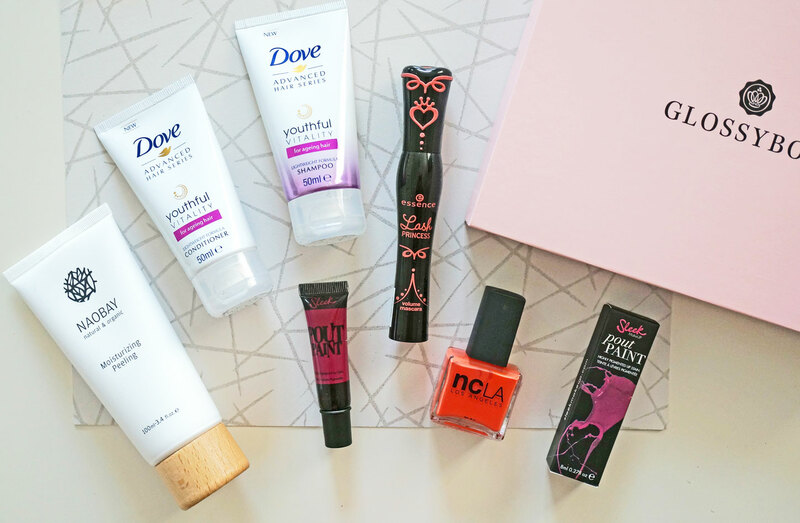 I’m a sucker for a bargain and although a few of these products are easily accessible on the high street, there’s nothing like having them delivered to your own door. Very keen to see your review on the Naobay face peel! This does look like very good value and there are some lovely products in the box. Looks like a great box and really good value – it looks like a perfect for Spring!